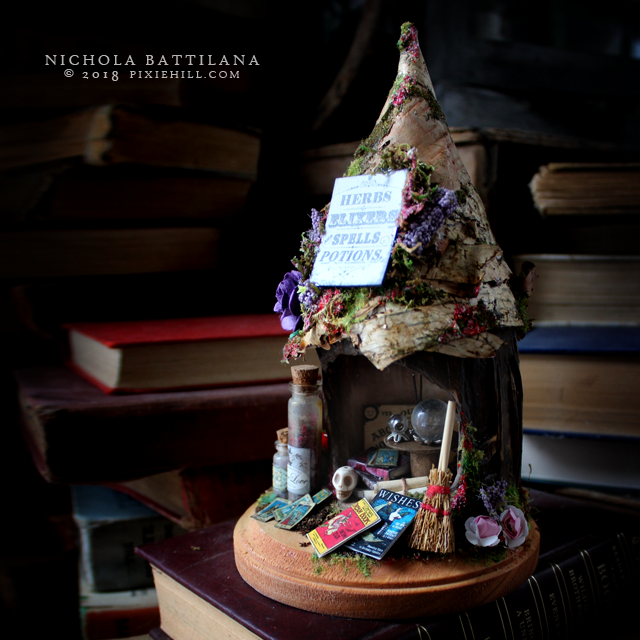 This is the last of my little fairy stump cottages. 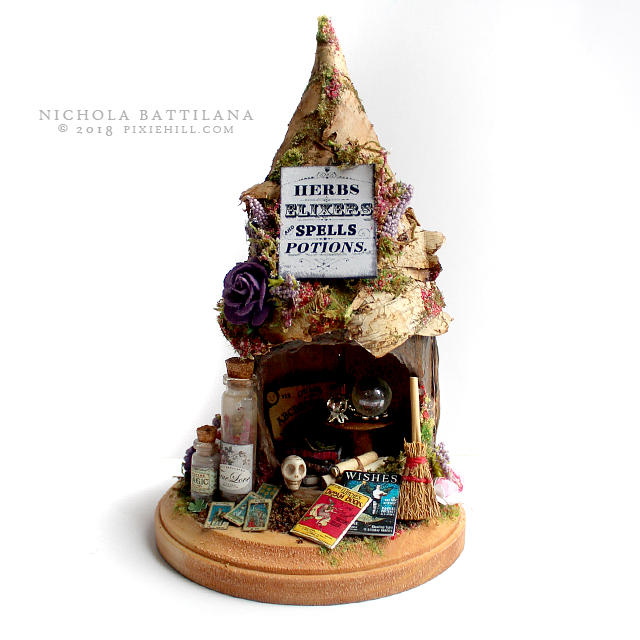 A wee herb hut filled with magical items for a cunning little person. (I use the term cunning here as in 'one who knows', not as one who is sly). I'm sort of in love with the signage on this one. And this little places does indeed have it all! 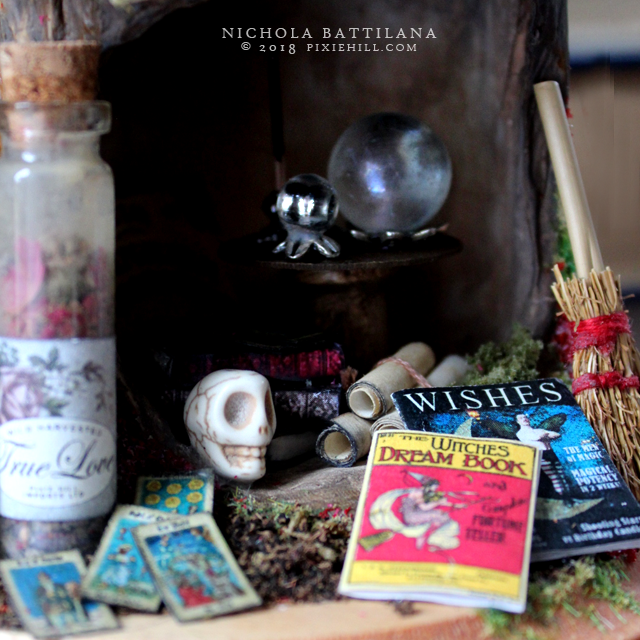 Crystal balls, incense, tarot cards, a besom, true love herbs, books and scrolls and more! I sort of like that this place has items that are both light and grim. I mean that's what fairies are all about. Fairies aren't all light and love, they're mischievous and magic too. 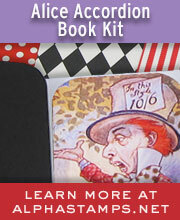 The Magic Hut is listed HERE. 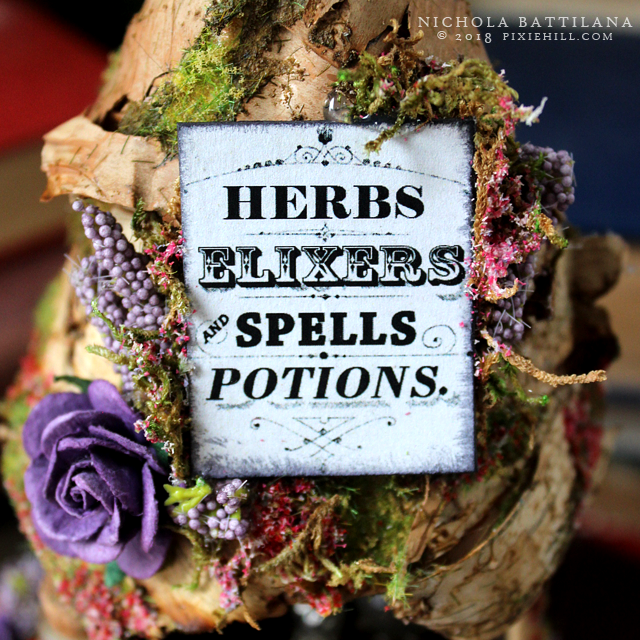 Have you ever encountered fairy mischief or magic? I've been quite lucky to be on the good side of the fair folk... although they do love to hide things on me. I’m so excited! Thanks to Dr. Ibrahim for bringing back my Ex-husband and brought great joy to me today! Dribrahimgreat@gmail.com is certainly the best spell caster online, if you need your Ex lover back fast! And his result is 100% guarantee…. Xs are not meant to get back!!! They are meant to be thrown in a Trash box!!! Damn with their love!! !